Note: the vulnerability only affects Firefox 49 and 50 version, details see the official announcement of. I recently have an understanding of to, the browser allows the use of meta tags to set the cookie. I'm not sure if I forget about this feature, or before I've never used it before. Given the previous research by SVG, I decided to give it a try. The SVG standard does not include the meta tag, but it support the foreignobject tag. &lt;foreignObject&gt; in the SVG element allows the inclusion of external XML namespaces, the namespace of the graphical content by a different user agent to draw. From mdn of a simple example shows how the SVG file using the XHTML namespace. Host a domain now have a cookie ppp=qqq to. Unfortunately, the cookie is set to attack.com instead example.com the. Make it force the last tip is to use the data: Protocol handler and redirect. Suppose example.com domain has the following code. 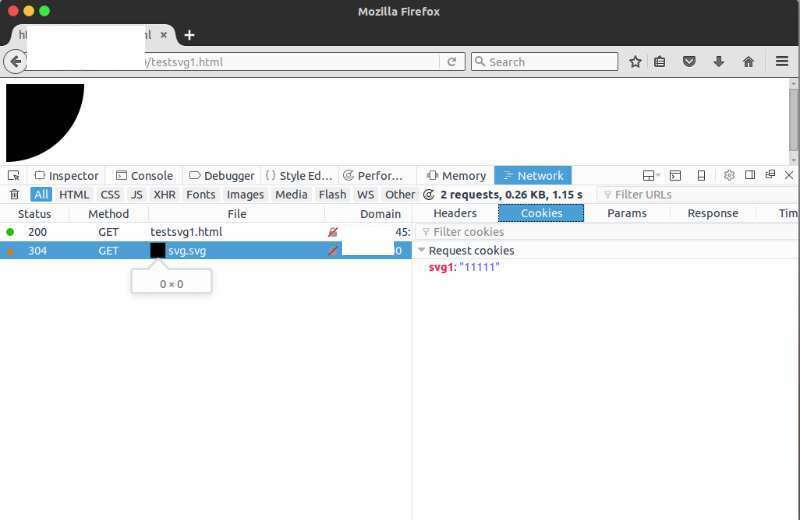 Once I'm in the Firefox browser to open the test case, you will be example.com to set a Cookie. This will for web brings many different vulnerabilities, including allowing included from external/third party websites the image. Currently also in determining the bug reward.